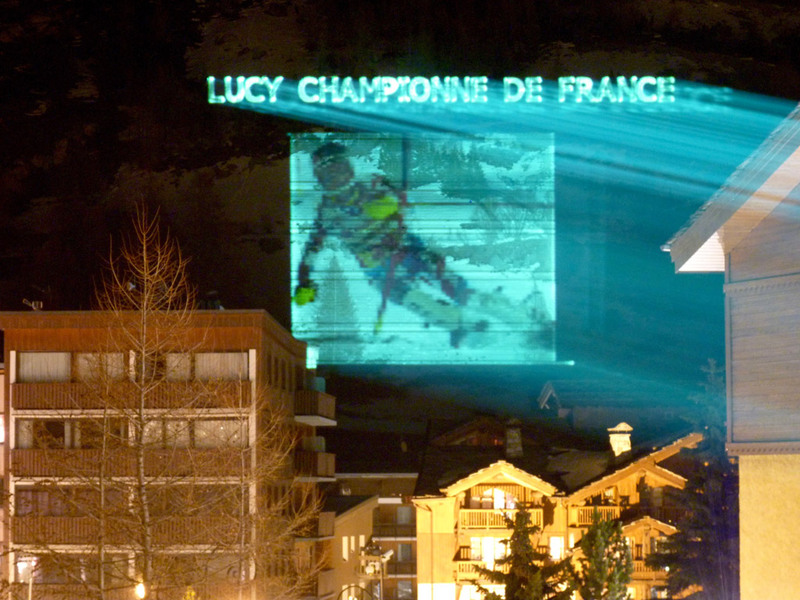 On the website www.laservaldisere.com you can book a laser projection of a photo of your choice in Val-d'Isère, France. 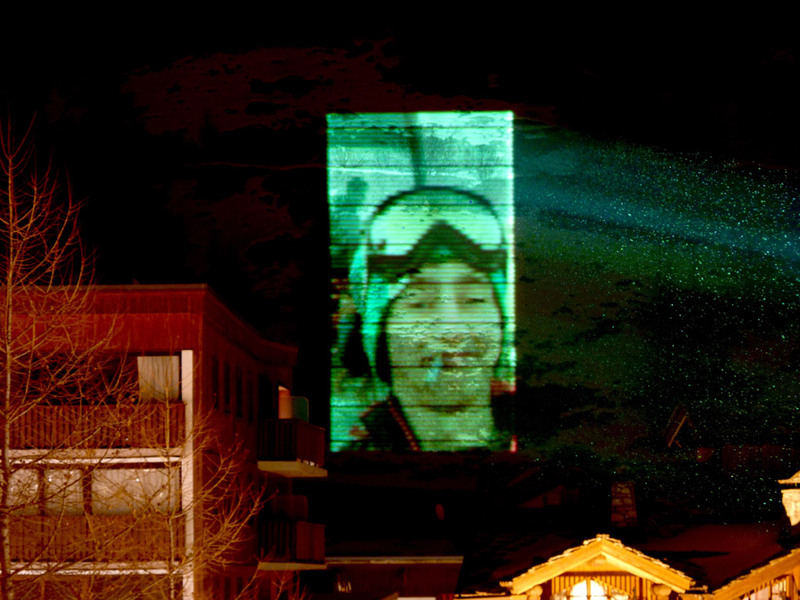 Thanks to a powerful RTI NANO 6 RYGCB show laser light the images will be projected onto the surrounding mountains. The images are converted into vector graphics and will then be displayed by the high-end show laser system. The extremely fast scanners of the NANO Rainbow unit ensure precise and flicker-free raster images.